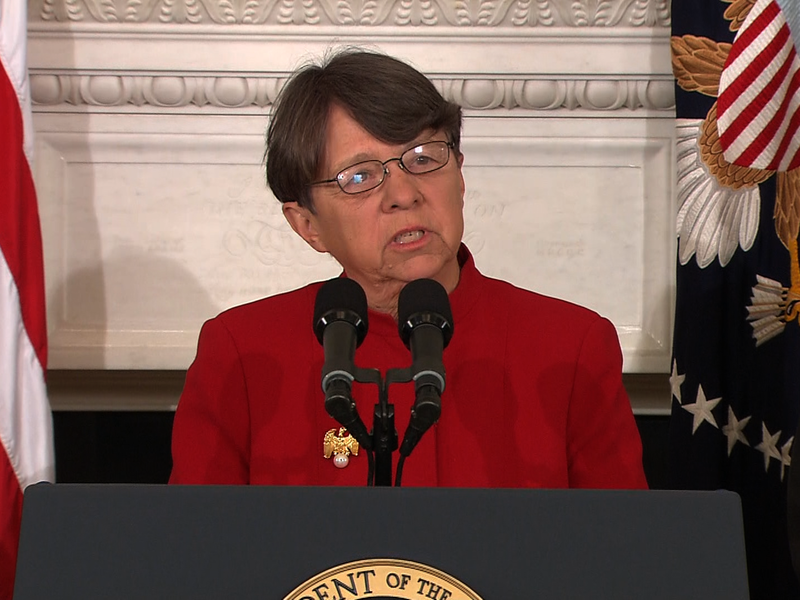 WASHINGTON Mary Jo White, President Barack Obama's pick to be chairman of the Securities and Exchange Commission, will likely face tough questions Tuesday from senators about her decade of legal work representing some of the largest U.S. banks and corporations. White's responsibilities will also include enforcing complex regulations written in response to the worst crisis since the Depression of the 1930s. The SEC chairman and commissioners must vote to approve enforcement actions against specific companies or individuals as well as new rules that apply generally. White has promised in writing to step aside from any decision affecting a former client for one year after she represented them. That's in line with federal ethics guidelines for agency officials. John White has also committed not to directly engage with the SEC in its rule-writing, to sell his shares in several investment funds and to change his partnership in Cravath so that he doesn't share in the firm's profits but receives fixed compensation. While White's confirmation appears assured, the fate of Cordray is far less certain. The consumer agency, created by the 2010 financial overhaul law in response to the crisis, was fiercely opposed by Wall Street interests and Republicans in Congress. Obama resorted to a recess appointment last year to circumvent the Republicans and install Cordray as agency director. The appointment expires at year's end. Questions were raised about the legitimacy of Cordray's appointment when a federal appeals court ruled in January that Obama violated the U.S. Constitution by using a recess appointment in the same way to place two people on the National Labor Relations Board.